First off I would like to thank Buffalo Trace for providing me samples of the 2016 Antique Collection. I have tried all of them, and will post the other 4 later, but I felt like Saz 18 needed its own review. See, for starters, Sazerac 18 is my baby. She has been my baby since we met in the Fall of 2014. I stumbled across a store employee at Total Wine looking for shelf space for a Sazerac 18. How and why it was making it’s way to a shelf, I will never know. But luck was on my side, we met, she came home with me, and our relationship has been steady ever since. Over the course of the past 2 years I’ve come across a few bottles of Saz 18, always drinking them, often with my good buddies in the neighborhood. To me, Saz 18 was the one drink I wanted people to try when they came to my house. Oh I have plenty of good bourbon, aged, barrel-proof, etc. But Saz 18 was the one that always reeled them in. Their faces when that finish hit was what I always loved seeing. 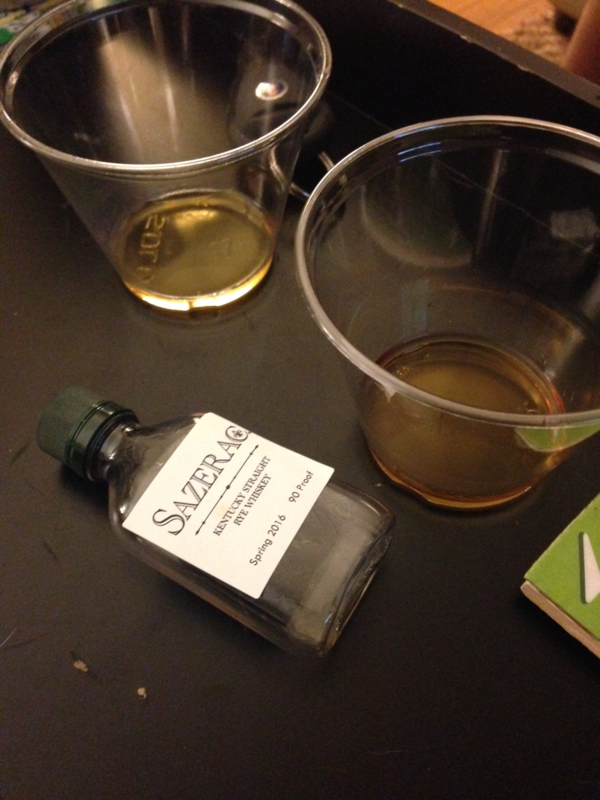 Sazerac 18 had the perfect nose, taste, and finish. It was my favorite ‘whiskey’ since I first tried it in 2014. By far, the best finish of anything I have ever had. I always told people it made me think I was a termite eating a caramel wooden staircase. The finish lasted forever. Such a perfect whiskey. And Buffalo Trace knew it. Back in 2003 when they tried the Saz 18 (debatable about who actually distilled it), they knew it was perfect and immediately threw it into giant steel tanks to stop it’s aging. Since that time, every release of Saz 18 has been the same tanked stuff. Always awesome, always the same, until now. 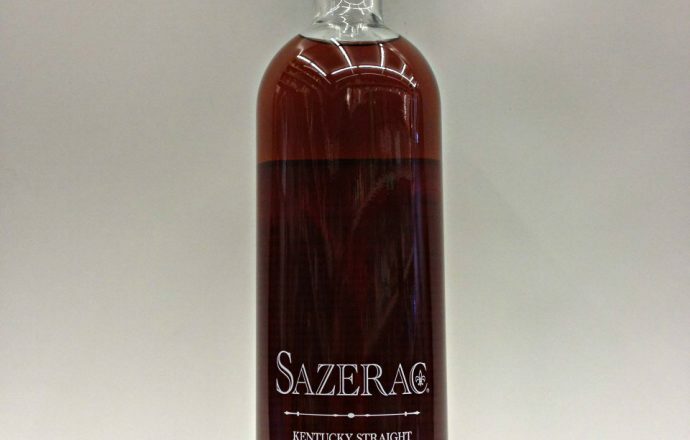 The tanked Sazerac 18 ran dry last year, and this year was the first year of Buffalo Trace’s new distilled Saz. Of all the 5 Antique Collection bottles, this one has the most interest. And with only 2500 bottles released this year, it’s also going to be the hardest to find (not that it wasn’t already). When I sat down with my Saz, I went immediately for a side by side with 2015. Buffalo Trace sends most people samples in 50ml plastic bottles (less than 2 ounces). I knew my 3 bourbon buddies needed to try it as well, so I had very small pours. I did a side by side the first night. I repeated it the next night with one of my buddies. Then two days later, I repeated it with the other 2 buddies. I did the side by side 3 times, my other buddies each did it once. It was a very disappointing conclusion. The new Saz 18 is not as good as the tanked stuff, not even close. None of us got a very good nose from it, there just wasn’t much there. Contrast that to the tanked Saz that you could smell from a mile away. It’s definitely lighter than the old stuff and has a thinner mouthfeel. The taste is similar, and it’s good. Nice old spice and some caramel sweetness on the palette are reminiscent of the old stuff. But it’s the finish that really breaks down. Whereas the tanked Saz had that wonderful finish that lingered forever, this new stuff had an almost bitter finish, and definitely ethanol is the predominant taste that lingers. I figured something had to be wrong, so I repeated my side by side two more times and it was the exact same. We all felt the same way. Nose is off, taste is good, finish is bad. Now, if I wasn’t comparing to the tanked stuff, maybe it would be ok. I didn’t have enough to try in that way. A 50ml sample bottle doesn’t go far in my house (and after this review I may never get any more anyway). All I know is what I love is gone, and what’s left is not something I care to continue a relationship with. Sad to hear as, like you I’m a big fan of the prior versions. Great review and thank you for being so candid. Thanks for your candor. Maybe next year will be better? In the mean time, console yourself (as I am) with this: a blend of 50% WT MC17 and 50% K&L Faultline Bourbon (a few vatted 10 yr Smooth Ambler/MGP barrels as I’ve been told). Bottle and age for a few weeks (>2 wks). Similar nose, similar sweet complex & fairly rich leather & chocolate pallet, and a decent finish (minus the some of the rye notes)- overall pretty tasty. Is there anything quite the same as SAZ 18? No, but when faced with adversity one must get creative, rather than robbing banks to buy the last remaining old SAZ 18 bottles out there on the secondary market. 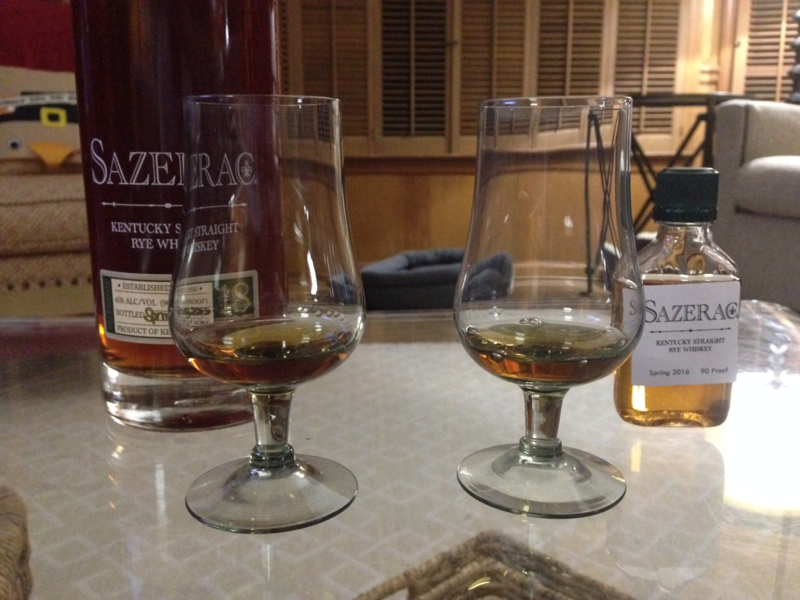 What a shame, because the tanked Saz was agreeably the best whiskey I’ve ever had. I was so looking forward to this years.